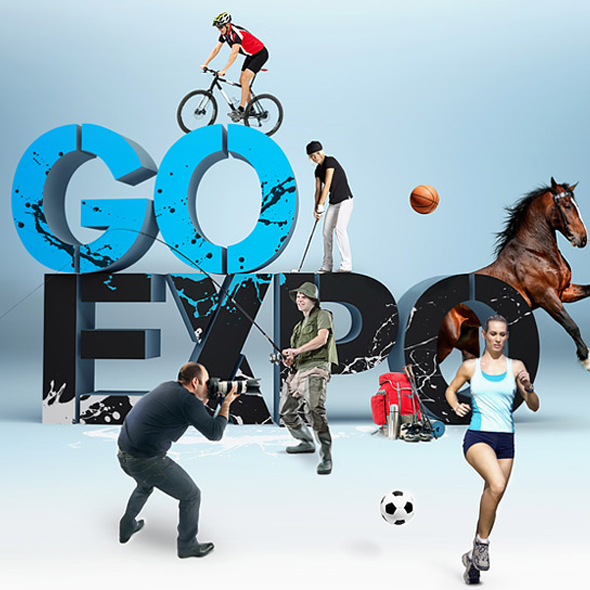 GoExpo is Finlands biggest sports tradeshow, hosted annually at the Helsinki Exhibition & Conference Centre. GoExpo is the framework of simultaneous events for sports enthusiasts: the tradeshow consists of main categories ballsports, cycling, fitness, outdoors and golf. With the wide variety of interesting products and events for people interested in sports of any kind, it offers a great chance to promote Freddy to the people who have somehow been able to miss the online hype of the brand. Freddy’s offering consisting of a large range of sporting textiles, GoExpo has been found to be the best event for reaching potential target group customers. The patented WR.UP® technology of Freddy pants that made Freddy known in Finland started with the fitness scene. 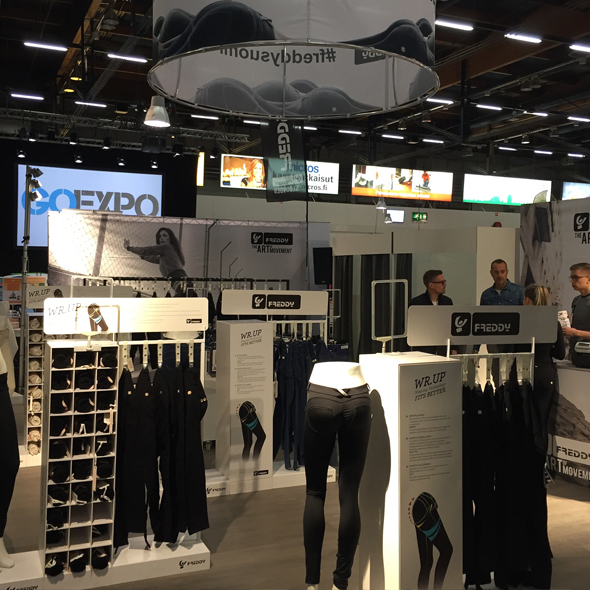 GoExpo hosts such fitness events as the Finnish Bikini Fitness championships, and this year SBE was part of the event by sponsoring Freddy clothing for the top finishers. Today, ever so many women interested in sports in general have found both Freddy sportswear and WR.UP® to be great for working out. Online ads were used to let existing customers and others know about the event and the exclusive offers at Freddy’s stand. Free tickets to the show were given as part of promotional campaigns and the layout of the online store was modified to be in line with the upcoming event. It came as no surprise that SBE’s Freddy stand was once again full the whole weekend with constant lines to the changing rooms. Sales figures made the event profitable for SBE directly over the weekend, not to mention the future gains from boosted awareness of the brand within the target customer group. After yet another successful GoExpo, SBE will be attending tradeshows in Finland also in the future.